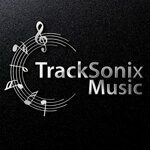 TrackSonix (Jon Brooks) is a professional British music composer specialising in music production for film, TV & advertising. He also runs his own recording studio. Credits include: Disney, Nescafé, CocaCola, Breitling, Sony, X-Box, KFC, Panasonic, BMW, Strepsils & Toyota.